Indonesia is a civil law jurisdiction, and as such does not have a doctrine of precedents similar to a common law system, which means Indonesian courts are not bound by previous court decisions. Law No. 40 of 2007 on Limited Liability Companies (the Company Law) is a law for limited liability companies in Indonesia. The Company Law provides the general roles of shareholders, board of directors (BOD), board of commissioners (BOC) and stakeholders of a company such as employees, business partners and the public. Further, a company’s articles of association (AOA) is the general governance document of the company, for example, limitation on the authority of the BOD and the mechanism on how decisions are made at BOD meetings, BOC meetings and general meetings of shareholders (GMS). 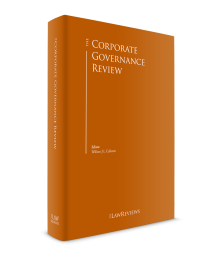 In addition, in practice, normally companies also prepare their own good corporate governance manual as a reference for the companies’ ethics and business practices. The general principle under the Company Law is that the management and its supervisors (the BOD and BOC, respectively) represent the company and not the shareholders. Under the Company Law, the BOD is defined as the company’s organ that has the authority for, and is fully responsible for, the management of the company in the interests of the company, in accordance with the purposes and objectives of the company, and is the organ that represents the company inside and outside the courts in accordance with the provisions of its AOA. The BOC is defined as the company’s organ that has the duty to conduct general and special supervision of, and provide advice to, the BOD. 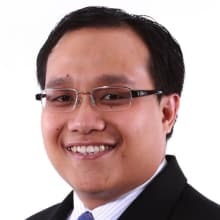 Further, for public companies (companies with at least 300 shareholders or listed on the Indonesia Stock Exchange (IDX)), the members of the BOD and the BOC are also subject to capital market regulations, for example, Law No. 8 of 1995 on Capital Markets. Public companies are also supervised by the Financial Services Authority2 (OJK) and the IDX. Therefore, the conduct of public companies must also comply with the regulations issued by the OJK and the IDX, which are more detailed and provide more clarity on how good corporate governance is implemented, for example, the requirement to establish certain committees, such as an audit committee and a remuneration committee, and to have a non-affiliated director and independent commissioners. Meanwhile, private foreign investment companies and private local companies (that obtain PMDN status from the Capital Investment Coordinating Board (BKPM)) are subject to the regulations in the field of capital investment. Other specific sectors may also have laws and regulations governing how the entities engaged in the relevant sectors conduct their corporate governance, for example, banks and non-bank financial institutions, and have guidance on compliance with good corporate governance. Limited liability companies in Indonesia use a two-tier management structure. The executive functions are managed by the BOD, which is supervised by the BOC. The BOC does not have an executive function or authority, except in the absence of all members of the BOD or if all members of the BOD have conflicting interests with the company. Companies with a sharia-related business activity should have a sharia supervisory board. the AOA require the BOD to obtain approval from the BOC or the GMS before proceeding with a corporate action. The above depend on the how the shareholders want the company to run its daily activities. another party appointed by a GMS if all members of the BOD and the BOC have conflicts of interests with the company. Unlike the BOD, if the BOC has more than one member, no member may act alone in representing the BOC unless it is based on resolutions of the BOC. he or she has taken steps to prevent the bankruptcy from occurring. Under the Company Law, similar to the BOD, each member of the BOC must undertake his or her duties in good faith and with full responsibility for the interests of the company, in accordance with the purposes and objectives of the company. The main duty of the members of the BOC is to supervise the BOD’s management policy and to give it advice. The members of the BOC are obliged to fulfil their tasks in good faith and with full responsibility in the company’s interests. The distribution of the tasks and authorities of the BOD is determined by a GMS, or by the BOD itself if the GMS does not do so. No law restricts a director from delegating certain responsibilities to other parties, but the director shall continue to be liable for all actions taken by the delegate. only members of the BOD have rights to attend and vote in the BOD’s meetings. Therefore, if the CEO or chair is not a member of BOD. They cannot act for and on behalf of the company (for example, represent the company and sign any agreements or documents on behalf of the company) – unless they are given the authority to act by the BOD under powers of attorney. Further, the CEO or chair who are not members of the BOD also do not have rights to attend and vote in the BOD meeting, and that the employment relationship between the CEO or chair and the company would merely be an employee and employer relationship. Under the Company Law, the remuneration of directors is usually determined by the shareholders (unless delegated to the BOC) through a GMS, and the remuneration of the commissioners is determined by the shareholders through a GMS. Further, the Company Law does not stipulate the remuneration of the senior management who are not members of the BOD. Therefore, the senior management would likely be treated as employees of the company, and their remuneration would be determined by the BOD or the remuneration policy that has been implemented in the company. Takeover or acquisition is a legal action taken by a legal entity or an individual to acquire shares in a company that results in a change of control in the company. Although there is no clear definition of control under the Company Law, the common view is that a transfer or acquisition that results in the acquirer holding a majority of the shares or more than 50 per cent of the shares in a company is a takeover that results in a change of control. Another trigger for a change of control is an action that results in the ability to nominate directors and commissioners and stipulate management policies shifting to the acquiring entity, but this is more relevant to the takeover of a public company. The Company Law requires several actions to be conducted by the BODs of the acquiring and target companies in relation to protect any party having interests to the target company, for example, creditors and employees of the target company. The BODs of the acquiring and target companies should announce the abridged acquisition plan in one national newspaper at the latest 30 days before the calling of the GMS. The newspaper announcement must include a notice that interested parties can obtain copies of the acquisition plan from the companies’ offices from the date of the newspaper announcement until the date of the GMS. The creditors of the target company have 14 days after the date of the announcement to file their objections to the plan of the acquisition. If no creditors’ objections are filed within this period, the creditors will be deemed to have approved the acquisition. If objections are filed by creditors, the BOD of the target company must first settle the objections. If any objections remain unsettled on the date of the GMS, these objections must be presented at the GMS to be settled. If any objections remain unsettled after the GMS, the acquisition cannot be continued. In addition to the above, the BOD of the target company should announce the acquisition plan to its employees at the latest 30 days before the calling of the GMS. The target company’s employees may claim to not continue their employment and be paid with the applicable termination payments for the change of ownership in the target company in accordance with Law No. 13 of 2003 on Labour (the Labour Law). remuneration for the members of the BOD, and remuneration and compensation for the members of the BOC for the previous year. it is obliged pursuant to the prevailing regulation. If the company fulfils one of the above conditions, but the annual report is not audited, the GMS must not approve the financial statements. After the GMS approves the annual report, the balance sheet and profit and loss statement of the company that: (1) its activities are to collect or to manage funds from the public; (2) issues a debt acknowledgement letter to the public; or (3) is a public company must be published in one newspaper. The purpose of this publication is for the accountability and transparency to the public. Further, the Company Law also requires financial statements of a company to be filed with the Minister of Trade. There are concerns from private companies about confidentiality and as a consequence compliance level is low. any material information that could affect the value of the public company’s listed securities or that could affect an investor’s decision to invest. Moreover, the Company Law does not adopt the ‘comply or explain model’. Nevertheless, OJK Regulation No. 21 /POJK.04/2015 on the Corporate Governance Implementation for Public Companies allows public companies may apply the corporate governance through a ‘comply or explain’ approach, where the public companies may either comply with a specific regulation, or explain why they have not complied and what steps they are taking to comply in the future. OJK uses this approach to promote the implementation of good corporate governance for public companies, because not every aspect of corporate governance could be implemented equally for all public companies, due to the differences in business sector, type of industry, size, and complexity of each company. The Company Law does not regulate one-on-one meetings of directors with shareholders. Normally, the shareholders will have a meeting and discussion with the directors through the GMS. There are two types of GMS, namely: an annual GMS that is conducted annually and an extraordinary GMS that may be held at any time pursuant to the needs and interests of the company. The GMS may adopt resolutions if they meet the quorum and voting criteria as stipulated under the Company Law and AOA. Consequently, any discussion between the shareholders and directors outside the meeting should not bind the directors in running the company’s activities. A non-financial services company is not required by the Company Law to have a risk management committee within its management structure. Nevertheless, OJK regulations require financial services companies (e.g., banks and insurance companies) to have a risk management plan, including having a special officer or committee responsible for all risk management issues (e.g., liquidity, financial compliance). In practice, some non-financial services companies may have established risk management committees as it may indicate a good corporate governance to mitigate or control the risk within their companies. In the absence of the risk management committee, the BOD is responsible for managing the risks as the BOD must act only in consideration of the best interests of the company and in accordance with the company’s purpose and objectives. respecting cultural traditions of communities living around business locations of investments. The Labour Law provides protections for employees who have knowledge of and reported the criminal acts of the employer (e.g., corruption, bribery) to the relevant government authority. This means that Indonesian law gives protection to whistle-blowing. The implementation of whistle-blowing has developed in past years resulted from practices and scandals involving companies with government institutions and government officials, including but not limited to corruption and fraud. Whistle-blowing has now become a trend as it is become one of the main goals of the Indonesian government to eradicate corruption in Indonesia. Under the Company Law, a company that operates in the natural resources field or is related to natural resources is obliged to conduct corporate social responsibility (CSR). A CSR plan must be inserted into the company’s annual report to be approved by the BOC or shareholders the GMS. Nevertheless, the Company Law is silent on the sanctions imposed on the company if the BOC or shareholders do not approve the CSR plan so that it cannot be conducted or implemented. revocation of business activities or capital investment facilities, or both. Moreover, there are no provisions that set out the threshold for a company to conduct CSR. Without the threshold, the companies may not implement the CSR effectively, and, therefore, this can be deemed to allow the company to perform the CSR in any manner as long it fulfils its CSR obligations. We note that nowadays the concept of CSR in Indonesia is broadened by numerous companies that cover so many aspects, including employee, consumer and social aspects. Although they might not be a mandatory obligation for a company, we found that some companies have adopted this approach to ensure that the welfare of their employees, consumers and society are accommodated in various forms. Some other examples of CSR may include leadership training for employees and a consumer complaints hotline. By adopting a CSR concept that covers numerous aspects (i.e., not limited to the environment and social well-being), a company may enjoy a good corporate image and reputation. that entitle their holders the priority to receive the allocations of the remainder of the company’s assets in liquidation. (both directly or indirectly) by another company whose shares are directly or indirectly owned by the company. In addition to the above, holders of a fraction of a nominal value of shares shall not be provided with individual voting rights, except holders of the fraction of nominal value of the share individually or jointly with other holders of the faction of nominal value of the shares belonging to the same classification has nominal value as much as one nominal share of the classification. For the shares with voting rights, even though the voting rights of shares are encumbered by pledge or fiduciary, the holder of shares still has the right to cast the vote in the GMS for those encumbered shares. If the quorum of the first ordinary GMS is not satisfied, a second ordinary GMS may be held. If the quorum of the second Ordinary GMS is not satisfied, upon the company’s request, the quorum will be determined by the chief justice of the district court where the company is domiciled. Ordinary GMS means a GMS to adopt any resolutions other than as specified in Nos. 2–6 below, for example, to appoint members of the BOD and BOC. GMS to adopt a resolution to amend the company’s AOA, including increasing or reducing the capital of the company. If the quorum of the first GMS is not satisfied, a second GMS may be held. GMS to adopt a resolution in connection with merger, consolidation, acquisition, bankruptcy and dissolution of the company. GMS to adopt a resolution to transfer or place as security the entire or a substantial part of the company’s assets. If the first GMS is not satisfied, a second GMS may be held. GMS to adopt a resolution to repurchase the company’s shares. GMS to adopt a resolution to extend the term of the company. A company’s AOA may stipulate different quorum and voting requirements for a GMS required to pass resolutions. However, the AOA may only stipulate a higher (not lower) quorum and voting requirements from the ones provided under the Company Law. In general the Company Law does not put the obligation for corporate governance to the shareholders. However, in some high regulated sectors, for example, insurance, the controlling shareholders may be required to declare that they are the parties responsible for the insurance company. a consolidation, merger, acquisition, or spin off of the company. Further, if the shareholder is harmed by an action of the company that he or she considers to be unfair and unreasonable as a result of the GMS, BOD or BOC resolutions, the shareholder has a right to lodge an action against the company before the relevant district court. The Company Law also allows shareholders that hold at least 10 per cent of the issued voting shares in the company to lodge an examination of a company to the district court on the basis that the company has suffered losses as a result of illegal activity or negligence by the members of the directors and commissioners. Further, the Company Law also allows shareholders to include additional provisions in the AOA to limit the BOD’s authority to conduct certain corporate actions (e.g., requiring approval from the BOC or the shareholders). 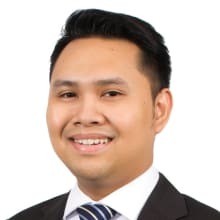 1 Daniel Pardede is a partner and Syafrullah Hamdi is an associate at Hadiputranto, Hadinoto & Partners (HHP Law Firm), a member of Baker & McKenzie International.